Take a little road trip. Is there a restaurant you really enjoy, but never visit because it’s hard to justify the time and gas? Maybe you have a favorite outlet mall or landmark that you would want to spend hours exploring… You have all day, so take advantage of it and go for that drive! With gas prices so low, you’ll find that filling up isn’t quite as painful as it has been in recent years. Get lazy. If you’re the type of person who never seems to stop, the best way to spend a day off might be by doing nothing! Drink coffee and read in bed for hours after you wake up. Try a new recipe using only the ingredients you already have in your kitchen. Put on a fresh pair of warm fuzzy socks and cue up the Netflix. According to healthreviser.com, taking regular “lazy days” can actually be good for your health! Clean house. Make a list of all the spring cleaning tasks you’ll be doing in a few months and decide what you’ll be happiest not having to do when things start to thaw. StyleatHome.com has 12 Winter Cleaning Ideas to get you started. You may not be able to start planting the petunias, but you can certainly clean out the refrigerator! Doing your spring cleaning prior to springtime is a great way to get a sense of accomplishment now. You’ll have a head start when spring actually arrives. If anything, it will leave you a little less ashamed to be taking down the Christmas lights when there are kids playing in the sprinklers. Make the visit. Go see someone you’ve been meaning to see! Maybe you have a friend who just had a baby and has felt cooped up all winter. Or maybe you have a grandparent or other elderly friend who lives in a retirement community that would love some company. The fact is that there is no better day than a day off to make a visit, so make that call to see if they are free. Odds are that at the end of the day, you’ll be glad you did! Volunteer your time. There are many people who wish they could help others in a practical way, but just don’t seem to have the time. Taking a day to actually go out and volunteer for a good cause is a great way to connect with your community and learn about how even the smallest gestures or actions can help. Websites like VolunteerMatch.org can match you with organizations based on what causes you would like to have an impact on. From animal shelters to urban farming, there are volunteer opportunities that are well worth spending a day on. 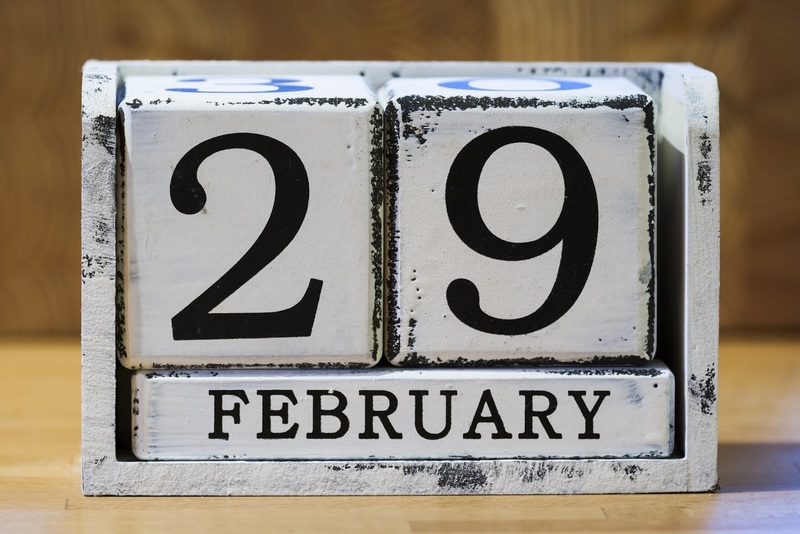 However you choose to spend your extra day this year we wish you a happy Leap Day! As much as we’d like to say that spring is right around the corner, we know that Michigan weather is unpredictable and that winter can last well into April. Luckily it’s been a fairly mild winter this year, but the winter blues are still a very real thing that put a damper on any day. Here are a few tips to help you beat those winter blues! It’s been scientifically proven that more sunlight can help lift your mood. WebMD has statistics about the percentage of people who suffer from winter depression that can be caused in part by lack of sunlight, and even lists ways to remedy it. One quick solution is to open the blinds and curtains in your home to make the environment brighter. No sunshine out today? Sitting next to an artificial light for just 30 minutes a day could help improve your mood. Go outside, get some exercise and make sure you’re eating right! PsychCentral.com states that “physical exercise is an underutilized method to reduce depression and anxiety.” Best Health also lists taking Vitamin D and omega-3 fatty acids as a way to help with wintertime deficiencies and can keep depression at bay. Replacing junk food with brightly colored fruits and vegetables during the winter months has also been linked to an overall boost in well-being. We all know the feeling of waking up and wishing for just 10 more minutes under the warm covers. Having to rush out the door into the cold after hitting the snooze button one too many times will undoubtedly add to any winter blues you’re experiencing. Read 10 Tips for Making Winter Wake-Ups Easier for some ideas that will help you get out of bed when sheer willpower isn’t enough. Any time you cross something off your to-do list, it gives you a sense of accomplishment... which feels good! Those good feelings are bound to help curb the effects of the winter blues. Even if your new year’s resolutions have long since been abandoned, some tips here in our blog can help you meet your goals. A CNN.com article about some surprising causes of winter depression cites a study that shows turning into a hermit in the winter can be detrimental to your health. 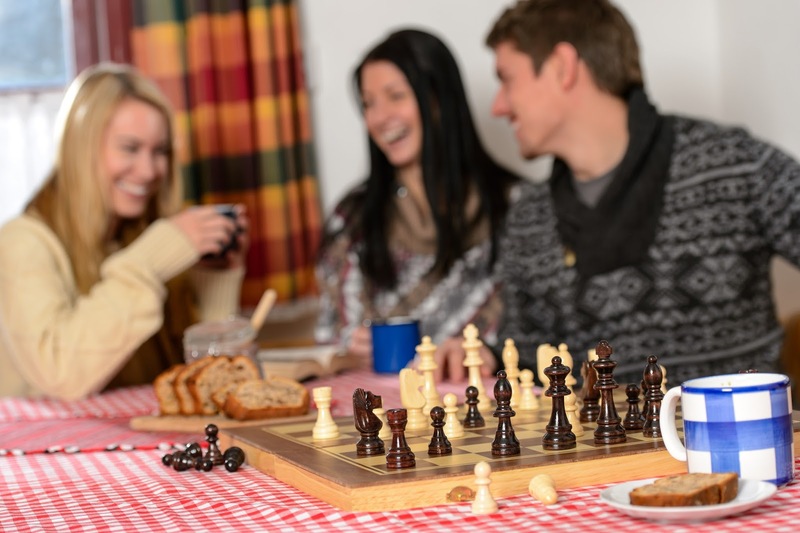 This is especially true for people who normally thrive in social settings, so resist the temptation to cancel your dinner plans because of the cold weather and get out and socialize! Continuing on with regular activities during the winter keeps you more connected with people and can make winter go by faster. However long this winter lasts, we know that the warmer months will eventually come, and pretty soon we’ll be pining for the air conditioning every time we walk out into the blistering sun. In the meantime, try to appreciate and make the most of the winter season while it’s here. That's right, they're back. 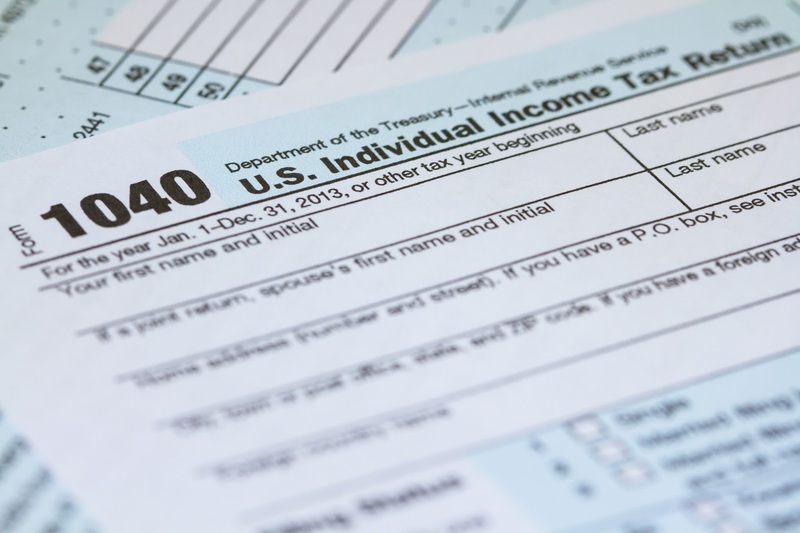 Scammers are using tax time to take advantage of the unwary, and much like the newest car at the auto show, this year's models look so much like last year's. Whatever happened to innovation? Let’s take a look at the "new and improved' 2016 lineup of IRS scams. Of course, it's important to remember that innovation can happen at any time, so just because something isn't listed below, it doesn’t mean it's not a scam. If you have any suspicion you're dealing with a scammer, hang up, call the IRS or send an email to the Federal Trade Commission (FTC). Caution is your best approach. Up first is one of the oldest scams in the IRS scam lineup. You get a phone call from someone claiming to be from the IRS and claiming you owe money. They insist that if you don't pay right now, you'll go to jail. You might recognize this one as a variation on a grandparent scam or Nigerian Prince scam, but if not, the process is simple: You don't owe the money and the scammers are trying to get you to give them money they don't deserve. If someone calls you claiming to be from the IRS, even if your caller ID says "IRS" or the like, hang up and call the IRS. If it's legitimate, then you will be able to find out from the IRS. If not, you'll find out right away. Remember, you have a right to an attorney, you can have your accountant present if you're being audited, and you have the right to due process no matter the charge. Don't ever assume you have to pay anyone right away just because they called you and demanded payment. One newer variation of the telephone scam is an email version carrying the same threat, but asking for much less money. This is a traditional phishing scam in which scammers ask for a modest sum that's payable online. Their hope is that you'll see a small amount, compare it to the terrible consequences they're threatening, and pay to make it go away. After all, who wouldn't spend $50 or $100 to make the IRS go away? Unfortunately, though, you won't be entering your financial info on a secure site that's provided by the IRS. You'll be entering your info on a dummy site that's set up by scammers to grab your credit card or checking account information. They'll in turn use that info to rack up all sorts of fraudulent charges. As a rule of thumb, never, ever, follow the link in an email to a site where you may be asked to enter financial information. If you have an email from the IRS, see if you can find your account by going directly to the IRS website. The same is true for eBay, Amazon, and other retailers that scammers love to impersonate. Yes, it's easier to follow a link than it is to find the right page on your own, but scammers are counting on that. A few clicks could save you thousands of dollars. The final variation of this scam is the tax preparer phishing email scam. In this one, the goal is the same as the variation described above. Instead of impersonating the IRS, they're impersonating a tax preparer. They'll likely have some authentic-looking credentials, which are fake, and assure you everything's alright, but you need to update your info on the IRS' e-file page. The problem is, the link in the email doesn't take you to the IRS' page. It takes you to ... you guessed it! A dummy page that looks like an IRS page but actually captures the financial information you enter. Don't be a victim. Always follow through with an extra phone call or email. Don't follow links that are provided in emails and don't assume that a webpage that looks OK must be OK. It's tax time, the time of year where we get a national math test, and math tests are stressful for everyone. Scammers know that and they prey on it. If you suspect you've been the victim of identity theft, let Community Financial know right away. The sooner we know, the more protection we can offer. Also, file a complaint with the FTC and alert one of the major credit bureaus. To learn more about these and other tax scams visit irs.gov. Did you know that heart disease is the leading cause of death for women in the U.S.? Each year, 1 in 3 women die of heart disease and stroke. The good news is that 80 percent of cardiac events can be prevented with education and lifestyle changes. With the right information, education and care, lives can be saved. To help raise awareness and funds to help fight cardiovascular disease, Community Financial team members will be wearing red on February 5th. The campaign is part of the American Heart Association’s 13th Annual National Wear Red Day, in which participants wear red, make a donation to join the Go Red For Women® movement and receive a red dress pin, all to help raise awareness of heart disease. 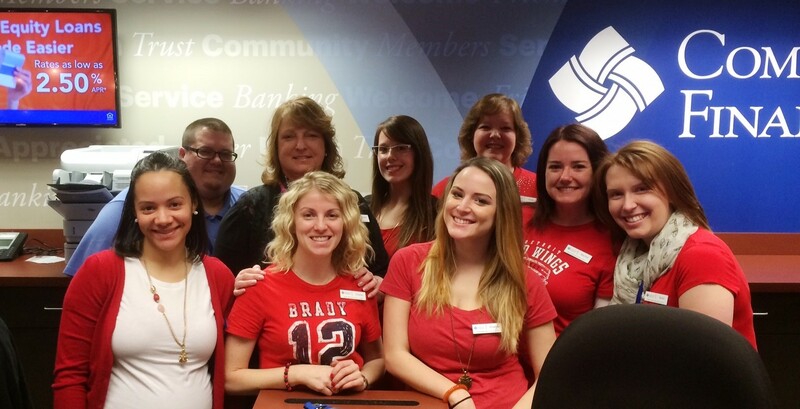 Community Financial will also provide Go Red Snack Bars inside all branches on National Wear Red Day. Members are invited to grab a healthy snack and learn more about heart healthy habits and the Go Red for Women movement at these stations. Heart disease awareness has increased over recent years, but most women fail to make the connection between heart disease risk factors and their personal risk of developing the disease. Go Red For Women has been educating and connecting hundreds of thousands of women with knowledge and tools to help them make lifesaving choices. More than 650,000 women’s lives have been saved and 300 fewer women are dying per day. For more information about National Wear Red Day visit GoRedforWomen.org. And don’t forget to show your support and wear red on February 5 to Go Red For Women! Together we can make a difference.